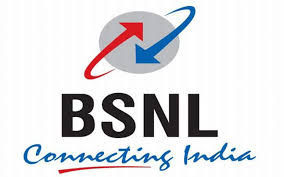 Bharat Sanchar Nigam Limited (BSNL) has released a notification for the recruitment of 107 Junior Engineers. Interested candidates may check the vacancy details and apply online from 15-12-2017 to 15-01-2018. Educational Qualification: Candidates should have passed 10+2 or equivalent or Matriculation with Diploma in Telecommunications/Electronics/Electrical/Radio/Computer/Instrumentation/Information Technology from a Government recognised institute. (as on 01-07-2016)Minimum 18 years and Maximum 55 years. Selection of candidates will be made on the basis of Written Examination and Personal Interview. General/OBC candidates have to pay Rs. 500 and SC/ST candidates have to pay Rs. 250 through online mode using Net-banking/Credit or Debit Card. Interested and eligible candidates may apply online through BSNL external website - http://www.internalbsnlexam.com/ - from 15-12-2017 to 15-01-2018.